Last year was the first time that this international, very mysterious dinner series was held in Budapest. It was held at the last-minute revealed location of the parking lot in front of the Hungarian Academy of Sciences. So far this year we know that the date has been set for September 9th. The only way to attend is to score an invitation from a friend or by knowing someone on the inside. There will also be some last-minute waiting list spots available. Up-to-date information will be available on the website and on their Facebook page. 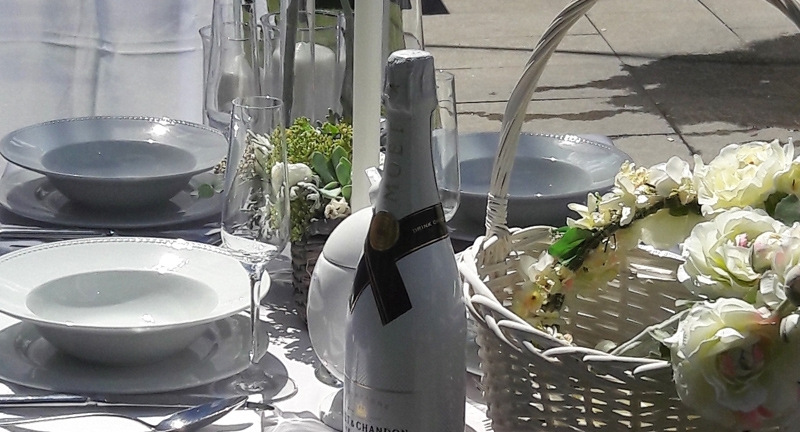 Dinner in White originated almost 30 years ago when a young man by the name of François Pasquier, who was returning to Paris after living abroad decided to hold a dinner party in a public garden in order to reconnect with his friends. He asked them to dress in white so they could recognize each other and ended in a spontaneous 200-person flashmob. It now takes place in 70 cities, in 25 countries throughout the world. The Budapest Dîner en Blanc organizing team is the same as last year: Rókusfalvy Gábor (Roxer Event), Kurják Gábor (New Edge) and Kormos Dalma and Hlatky-Schlichter Hubert from KIOSK. -Attendance is mandatory. The event will be held not matter what the weather and you must show up! -The only acceptable color -- is white. Foldable tables and chairs must be white or draped in white. -Guests must bring a picnic basket for their dinner (also white), laden with "quality" foods. Plastic cutlery and paper plates are prohibited. Food must be eaten off of fine china, and proper stemware and flatware used. -Beer and hard alcohol like spirits are prohibited. Only wine and champagne are allowed. -Participants must wear white and be dressed elegantly. "Originality" is encouraged as long as it is stylish and tasteful.